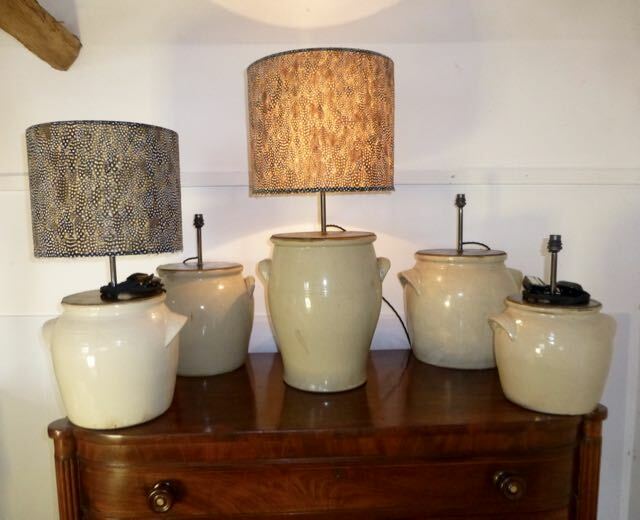 Description: 5 French olive jars that we have up-cycled into table lamps. Sizes £335.00 for 50cm,47cm,40cm. £285.00 for 38cm,34cm high. Shades are extra.